Le Laisinant. 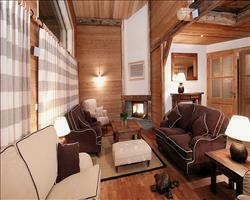 In the hamlet of Le Laisinant, Chalet Premiere Neige offers an excellent location for the skiing. It is 50 metres (approx.) from the Laisinant Express lift, which allows access to the whole ski area and in normal snow conditions it is possible to ski down from the Solaise bowl to just behind the chalet on a blue piste. The ski bus stop is just 80 metres (approx.) from the chalet and the centre of Val d’Isère is an 800 metres (approx.) stroll or a short bus ride away. This beautiful chalet boasts a lovely spacious living/dining area with high wooden beams, stylish seating and a large open fire. French doors open on to a terrace with great views. All bedrooms enjoy modern en suite facilities and are pleasantly furnished. The suites, where children enjoy half price places and reductions are offered for 3rd and 4th occupants, are ideal for families or groups. This is a beautiful home-from-home, a chalet in which your slippers will not look out of place, yet with just enough sophistication to remind you of the world class resort you are enjoying. Rooms 1, 3, 4 & 5 can be configured with either twin beds or a king-sized double bed, so please advise your preference when booking. This is a Superior chalet so you can enjoy extra features including a warm reception of vin chaud, delicious four course meals and additional indulgent extras. Beds in rooms 1, 3, 4 & 5 will be made up as twins unless we are advised otherwise. We update Chalet Premiere Neige's details often, but facilities do change. e.g. some extras listed by the supplier as "free" or included might only be for the first time you use them, or for one time per party, then charged for further use. If any specific feature is essential to your holiday, make sure you ask us to confirm the details of it before you book your holiday. Val d'Isere lift pass price last reported as €294 (adult 6 day). Ask for a quote when booking Chalet Premiere Neige. Chalet Hotel & Sp... Val d'Isere France, Dover Ferry 5th January. 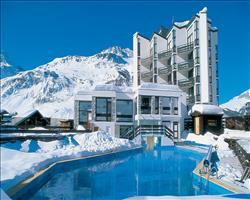 Bellevarde Lodge ... Val d'Isere France, Gatwick to Grenoble 1st December. 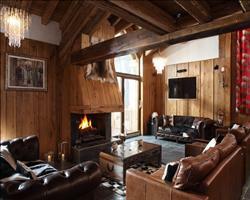 Loft 1 Aspen House Val d'Isere France, Gatwick to Geneva 1st December. 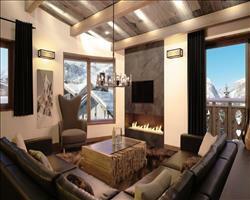 Chalet Hotel Le V... Val d'Isere France, Gatwick to Grenoble 8th December. 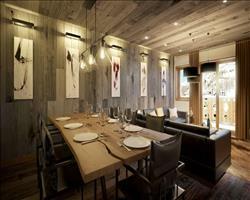 No 5 Aspen House Val d'Isere France, Gatwick to Geneva 1st December. 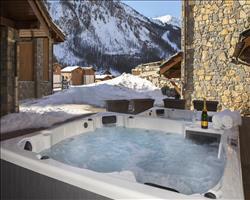 Grand Choucas Val d'Isere France, Gatwick to Grenoble 1st December. 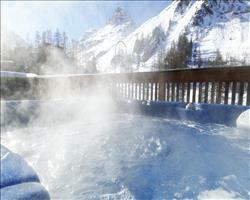 Bellevarde Lodge ... Val d'Isere France, Gatwick to Grenoble 8th December. 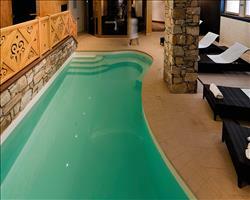 Chalet La Grande ... Val d'Isere France, Gatwick to Chambéry 15th March. 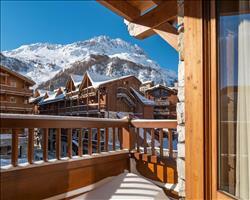 Chalet Madeleine Val d'Isere France, Gatwick to Grenoble 14th December. The chalet is very nice and spacious, there’s a really nice living area where you sit down and eat. Even though there were 12-15 people there it never felt crowded. It’s all quite traditional with a wood burner which was lovely. There was a TV and DVD player but they weren’t used at all during the week because we had such good company. There were also resources and stuff like maps and you had internet access which was great. The rooms were good and always warm and there was plenty of storage for skis and snowboards. It will be a shame if the couple we had as hosts weren’t there next season as they were amazing. The food was unreal and there was always snacks and teas if you wanted them. We had a cooked breakfast option every morning with porridge if you wanted it, cereal, fruit juices etc. You’re literally 20 metres to the lift and 25 metres to the bus stop if you want to get around that way. It’s also less than 5 minutes into Val proper where you can choose from as many lifts as you like. If you timed it right you could ski within 20 metres, not the nicest run in the world but not a bad ski. "Great resort, lovely chalet, rubbish staff"
Val d’Isere was amazing and the actual chalet was lovely but the chalet staff were appalling! The staff needed to be properly managed – two stroppy 19 year old boys. The food was rubbish and the cake inedible. I booked last minute and got the holiday half price but a lot of the other guests had paid more than me and none of us got what we paid for at all. I’d give the actual chalet 4 out of 5 but the staff were shocking and deserve a 0. . . Update: The chalet has changed the staff from winter 2013/2014 onwards. We have just spent a week in the chalet at this beautiful resort and could not fault our stay. Our hosts Mario and Charley were so fantastic. Helpful, friendly, professional and fantastic chefs - the food was sensational. 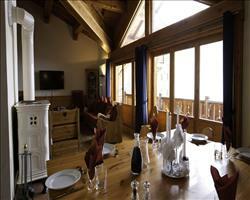 The standard of the chalet was true to the description and photos on the internet - very comfortable and welcoming. Although the chalet is not located right in the middle of the town centre, it is easily accessed by the free shuttle bus which runs regularly until the early hours in the morning. All in all it has been a wonderful holiday and we will hopefully be back soon! "Old stone & wood brought up to date"
This is a modern take on an old fashioned look. From exposed stone on the outside, to high beams of aged wood on the inside, it is naturally light. Warmth is brought to the fore by the inviting open hearth, an idyllic resting place with a drink and friendly conversation at close of day. Ski in via the blue Taversee du Laisinant which can also take you to the main town, or waltz just 50m to the Laisinant Express lift. For non-skiers, the walk to town is less than a kilometre, or for a less strenuous trip, jump on the bus, located barely 80m from your doorstep.